In my early life, Africa was home, where we moved around to quite a few different locations. We always had two or three dogs, mostly retrieving and guarding breeds. 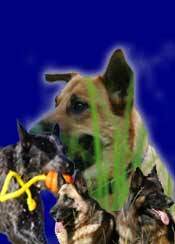 My career with dogs started after leaving school and voluntarily working at a Veterinary Clinic in Lagos Nigeria. We were in UK on holiday when I decided to join the Royal Army Veterinary Corps in the late sixties as a dog handler, training security and specialist liaison dogs. This was my initial foray into the ever-evolving training of dogs with behavioural problems. From here I went on to complete my veterinary nursing training qualifying through the Royal College of Veterinary Surgeons in 1971. 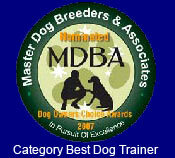 This training and handling of dogs has continued over the last 40 years and I have current accreditation with the National Dog Trainers Federation. I am a volunteer Instructor at the Caboolture Sports Dog Obedience Club where I take dogs from basic obedience up to trialing, also teaching agility and fly ball. I consult both privately, and through my current work place, on behavioural and training issues, receiving referrals from a range of professional people both locally and interstate. Continuing to keep up to date with new training and behavioural methods is very important as there is always something new to learn. Throughout my life I have taken into my home many rescue cases that have had serious behavioural problems ranging from abuse, to aggression. I presently have three dogs, one who was very rank aggressive and suffered bad burns as a seven month old pup, one fear aggressive to both human and dog, who was savaged badly by her mother at two weeks of age and consequently does not read or send normal body language, and one who was litter bully, and was doing nicely until pulled through a fence by two Rottweilers making him fear aggressive close to other dogs. These dogs have helped greatly in my understanding of behavioural issues not only with other dogs, but also with how difficult it can be for their owners to cope.